The very talented ladies of We Love To Illustrate have put together free illustrated printable valentines that are beyond words cute. And the best part is that, unless someone else in the class reads my blog or their blog, they won't be giving out the same valentine as everyone else this year! 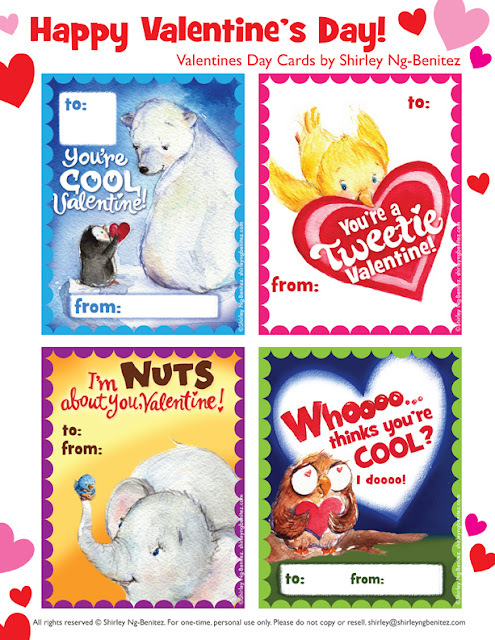 Nina created the cute valentines above, but there are seven valentines printables to choose from. 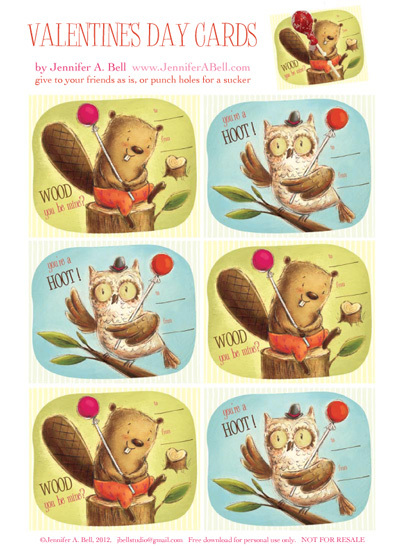 Like Jennifer's cute woodland creature valentines. 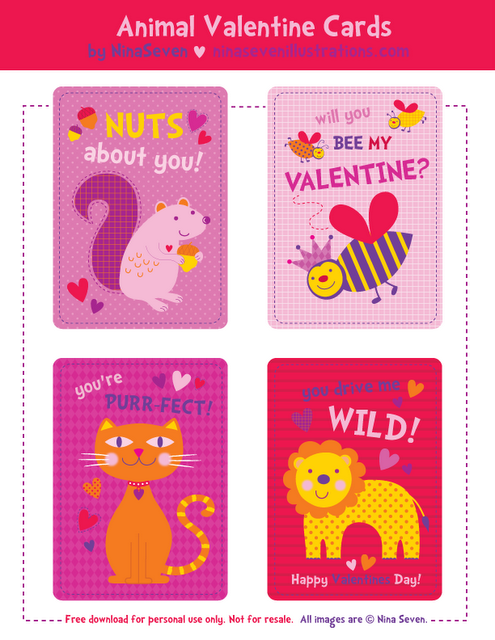 You can check out all of the printable valentines over at We Love To Illustrate. Oh I love these so much!! !